Kathy Taylor has one hell of a personality...and she is about to unleash it all over Devon York. Devon made a promise to Catherine Dubois to help her niece, and it’s a job he’s dreaded. But when Kathy storms into his office and asks if he is absolutely crazy, he finds she is a breath of fresh air. So he volunteers to coach Miss Taylor, which doesn’t prove easy, especially when Kathy’s sister keeps sabotaging her diet. 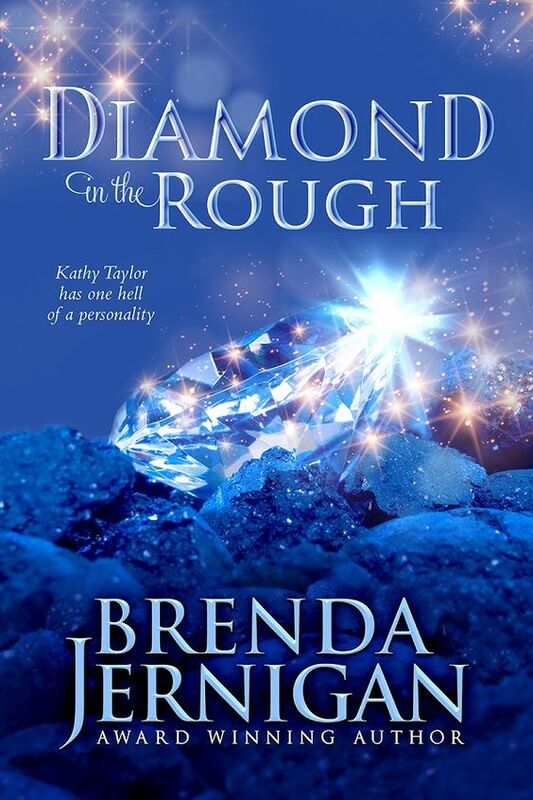 Amazon All-Star author, Brenda Jernigan is a bestselling author. She writes both contemporary and historical novels. She has been nominated for several awards – Book Seller’s Best Award, The Maggie Award, The Holt Medallion Award and a RONE Award. She grew up as a tomboy and really had no use for books. It wasn’t until she was taking her son to Story Hour at the local library that the librarian gave her a copy of DEVIL’S DESIRE by Laurie McBain. After that Brenda became hooked on historicals. Brenda’s first book, THE DUKE’S LADY, was bought and published by Kensington Publishing and her career as a storyteller took off. RWA Bookseller of the Year 2002. Brenda loves to hear from readers. You can email her at bkj1608@juno.com. 1. Answer the two questions below and send your answers to bkj1608@juno.com. 2. Subject line should be Diamond in the Rough. 3. Include your first and last name and email. 1. When is Kathy's birthday? 2. What was the secret that she found out about herself? Oh man I can relate to the hardships of dieting but for 1 million-- I think I will put down the pringles and candy. Hope she can do it!